Disability hate crime is a form of hate crime arising from the hostility of the perpetrator towards the disability, or perceived disability, of the victim, or because of their perceived connection to disability. It is often viewed politically as a logical extreme of ableism (sometimes known in the UK by the disputed word "disablism"), carried through into criminal acts against the person. This phenomenon can take many forms, from verbal abuse and intimidatory behaviour to vandalism, assault, or even murder. Disability hate crimes may be one-off incidents, or systematic abuse that may continue over periods of weeks, months or even years. In the United States, the Matthew Shepard and James Byrd Jr. Hate Crimes Prevention Act of 2009 expanded the 1969 United States federal hate-crime law to include crimes motivated by a victim's actual or perceived disability. The treatment of disability hate crimes has been affected by the perception of disabled people as inherently vulnerable. This is a multi-faceted issue. 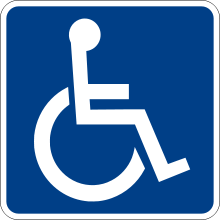 Unfounded application of the 'vulnerable' label to a disabled person is considered a form of infantilization, a type of ableism in which disabled people are regarded as childlike, rather than as functioning adults. The use of this label also frequently represents a failure to distinguish between the victim of the crime and the situation they found themselves facing. On the other hand, it has been suggested that the vulnerability of victims is a key factor in all crimes. It has been applied to wide variety of scenarios, including people working at night or handling large amounts of money. This implies that the issue of vulnerability is more complex than some advocates have argued. If it is a factor in all crimes, it then becomes necessary to adopt a contextual perspective without regarding disability as intrinsically vulnerable. ↑ "Error 404 (page not found): The Crown Prosecution Service". Retrieved 29 July 2015. ↑ "The CPS : Disability hate crime". Retrieved 29 July 2015. ↑ Quarmby, Katharine. "Scapegoat: Why we are failing disabled people." Portobello, 2011. ↑ "Disability and murder: victim blaming at its very worst". ABC News. Retrieved 29 July 2015.